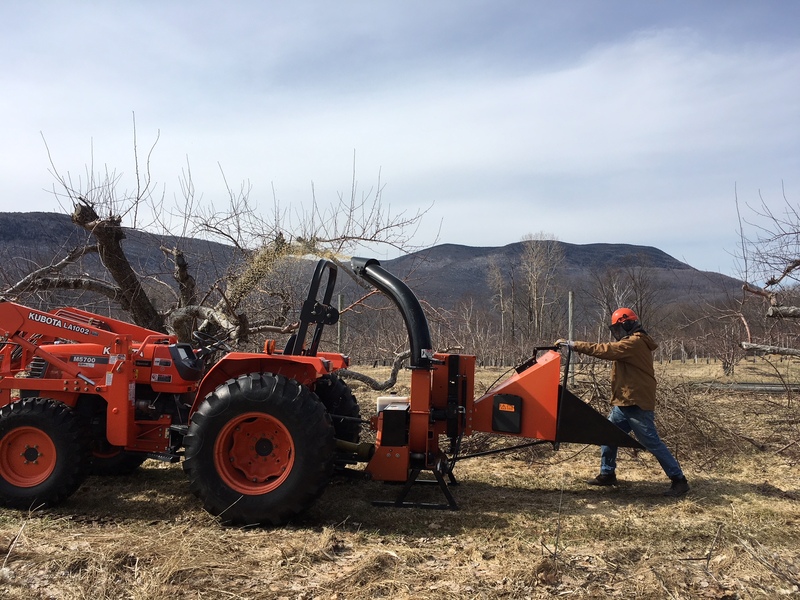 The snow out in the orchard is finally melted and we are busy chipping brush. Pruning is almost complete. I am mostly recovered from my Halloween mishap. Once the brush is chipped, some mowing, fertilizer spreading etc. that did not get done last fall is on the to do list. We will get green tip showing on the buds by the end of the month. Maple syrup makers have had a short season so far and we hope they get a few more days.